There are 20 pens available. 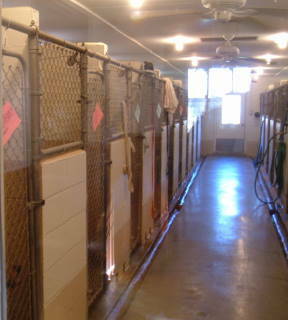 The kennels are 5 X 5 feet inside and 5 X 12 feet outside. They are climate controlled for your dog's comfort with air conditioning and heat. Caretaker lives onsite. Kennels are open to the public so you do not need to be a member to use the kennels. for 6 nights or more.